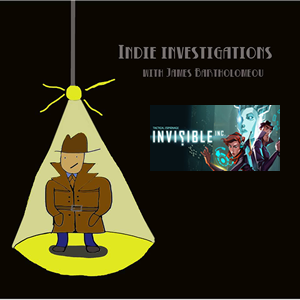 Indie Investigations – Invisible Inc.
Invisible Inc. is a turn-based stealth cyberpunk game from Klei Entertainment, the guys behind Mark of the Ninja and Don’t Starve. Featuring permadeath, randomly generated content, and an incredible stealth system, Invisible Inc. provides a stressful and worrying experience, and masterfully takes advantage of the turn-based genre to make you really think about what you have to do, and punishing you when you do that wrong. Invisible Inc. is available on Good Old Games, Steam and Humble, as well as other digital store fronts, for £14.99 regularly, but £11.99 during it’s first week. Owners of Mark of the Ninja on Steam also get a 20% discount on the game. Support The Site And Get Games!